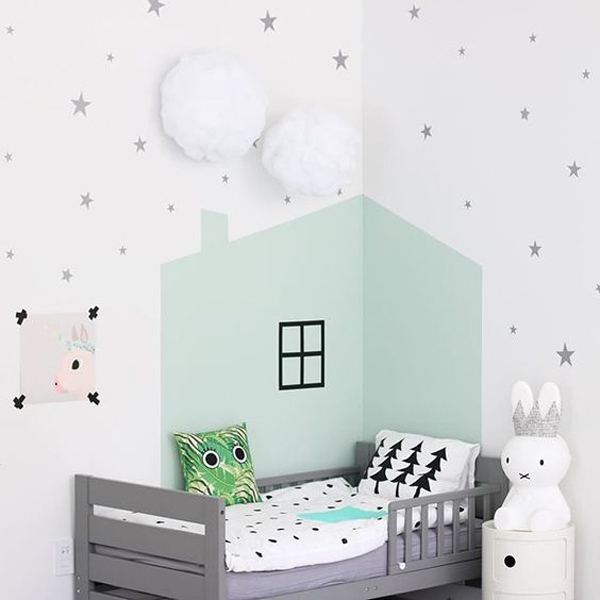 During the latest years we have experienced a great boom in wallpapers and wall stickers, we have seen everything in every of those formats. 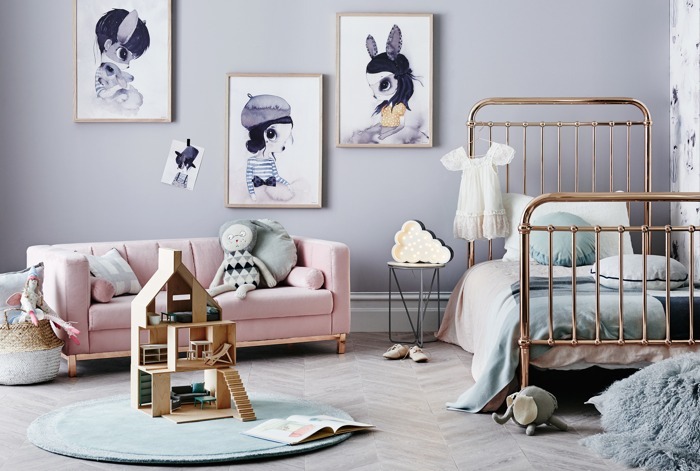 What’s the newest trend in kids’ walls decoration? 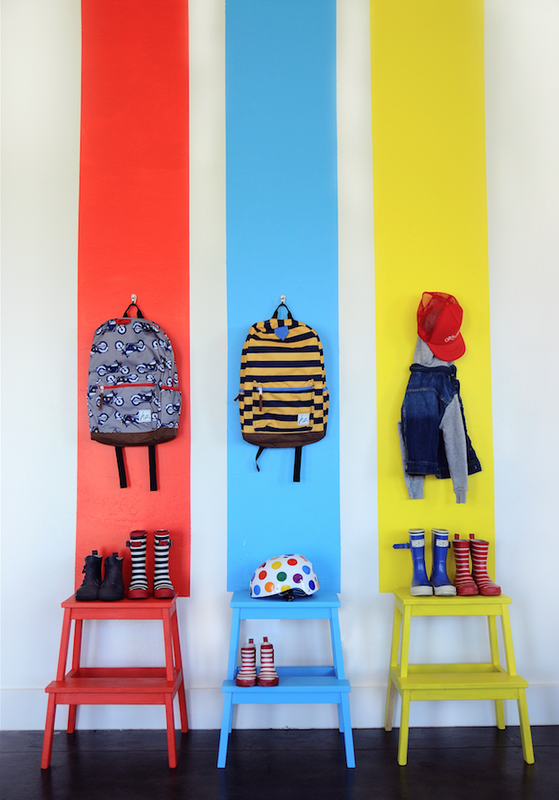 Of course, children’s prints, paint or a mix of both. 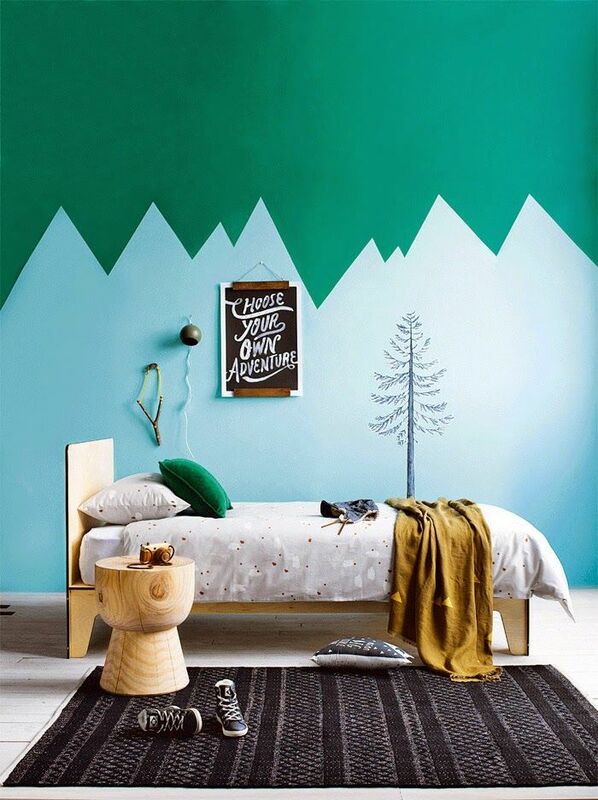 Just using paint and some good ideas we can create cute atmospheres which take us to nature like those mountains with inspiring messages in a children’s print. 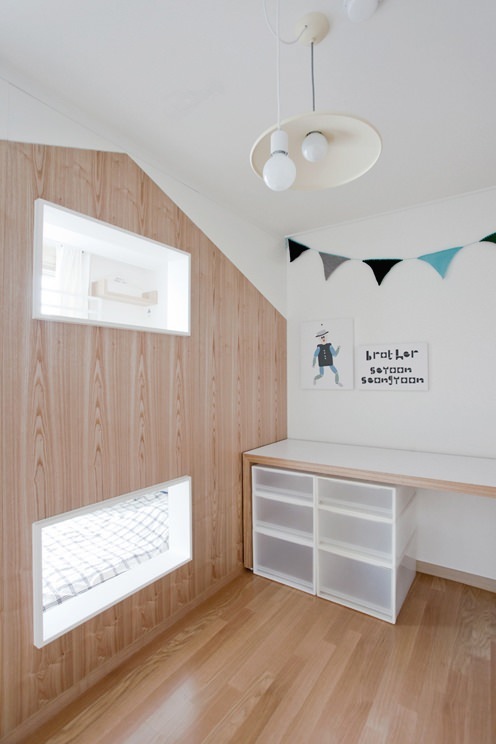 The paint allows us creating mini-zones in kids’ bedrooms like in this example with a separated reading space. So nice…! 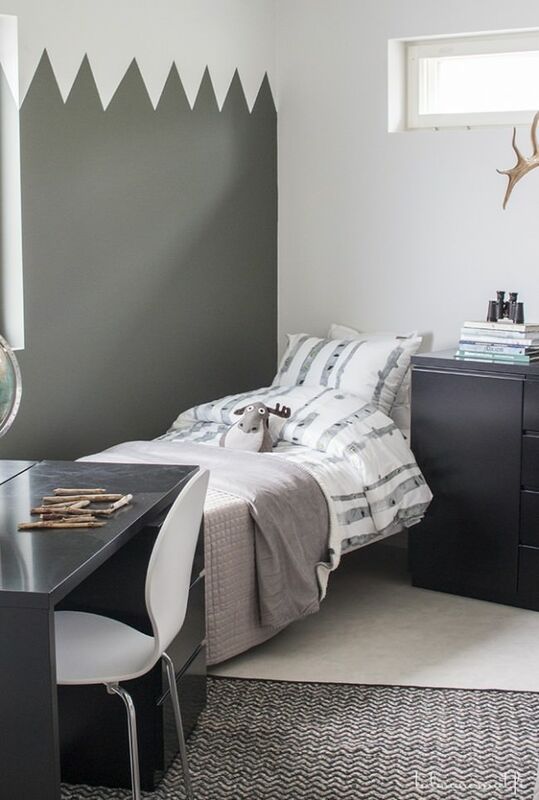 Zig-zag is really in and we have found it in several Nordic style -inspired rooms. 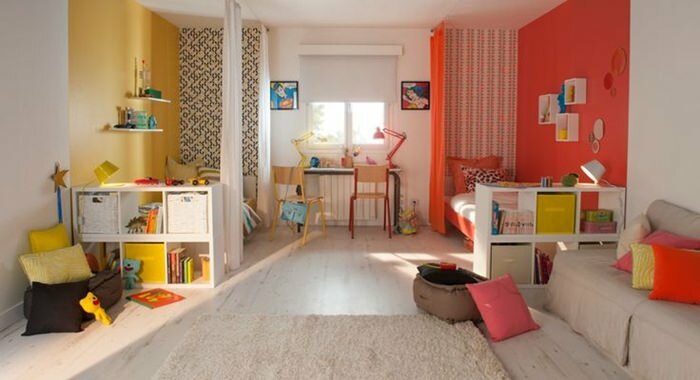 Playing with colours is a good way to limit different spaces in a same room like these two zones specially divided for two children. 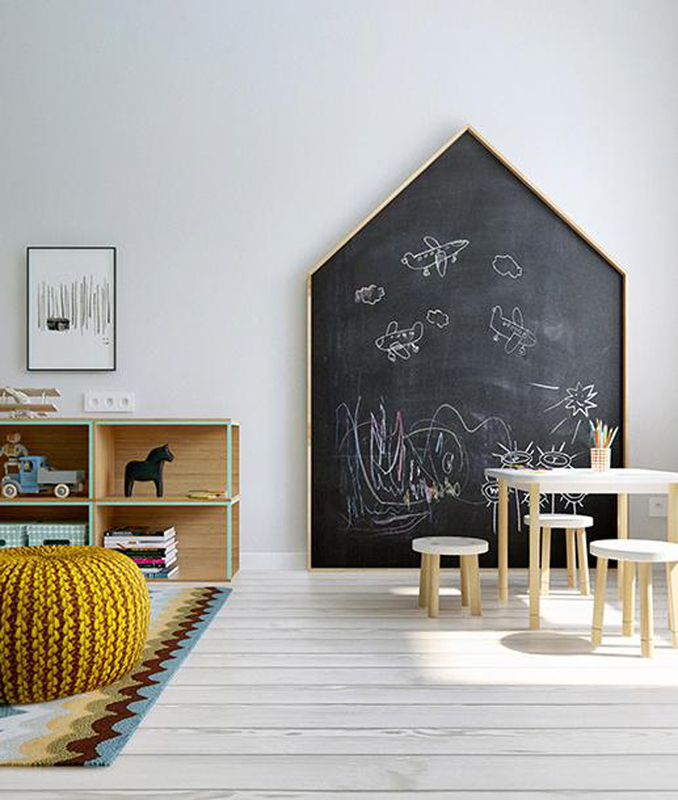 Do you have more ideas to decorate children’s room walls?